Marvel’s Agents of S.H.I.E.L.D. has been slow-going to build a “Secret Warriors” team after the initial tease at Comic-Con, but may finally Slingshot development in its Season 3 return. 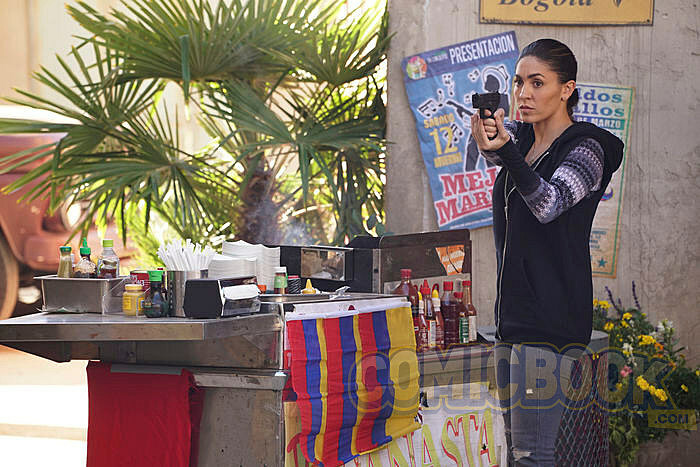 Natalia Cordova-Buckley has joined the Marvel drama in the comic role of Elena “Yo-Yo” Rodriguez, a notable member of the Secret Warriors from the books. Said comics feature the character as a hero with the ability to move at incredible speeds and snap back to the starting point, as the name would suggest. She eventually became one of the “Caterpillars” recruited to the Secret Warriors team by Nick Fury, an arrival likely to be subbed in by Coulson or Daisy. Elsewhere, Marvel’s Agents of S.H.I.E.L.D. has kept its 2016 return largely under wraps, though we know Adrianne Palicki’s Bobbi “Mockingbird” Morse and Nick Blood’s Lance Hunter will move toward their own Most Wanted spinoff, with Delroy Lindo to boot.